A printer roller is the part of the printing machine which feeds the paper for getting a print on it. By the time, this rubber piece collects dust and debris with the paper, and that can affect the quality of the print on the paper. So, printer roller cleaning is an important thing that you should regularly do after a specific period. 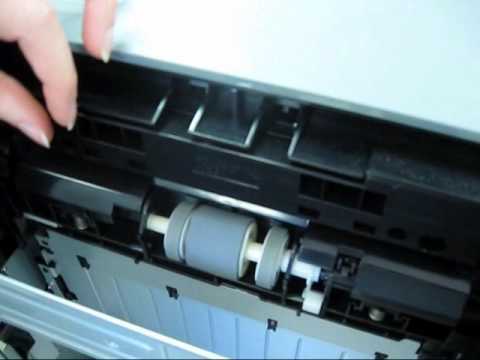 Here, I will explain the ways of cleaning both the Inkjet as well as LaserJet printer rollers. Why should you clean printer rollers? 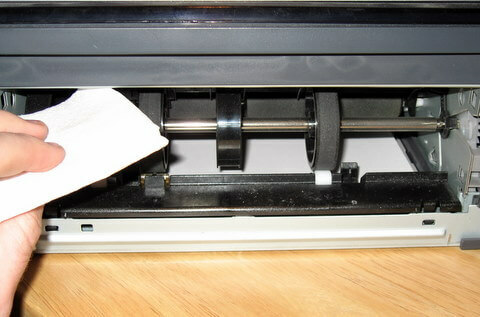 As I stated before, the printer rollers accumulate debris as well as the ink residue from the printing pages. If you don’t regularly clean the rollers, then the print quality may get affected. You may get a wrinkled & unprofessional looking print. Also, there will be a risk of jamming the papers in the process of printing. So, I recommended that you regularly clean printer rollers for avoiding such problems. How to Clean Printer Rollers? Here, I will explain how you can clean the rollers of your inkjet and LaserJet printers quickly & without any professional help. In the inkjet printer, you can track the rollers in the beneath side. Keep in mind that you do not need to remove the rollers completely. First, you need to power off the printer. Remove all the papers from the paper tray. Take out the paper tray, and you will see the rollers. Rotate them by using your hands. If it is not working, then choose the option of ‘feed paper’ to do it. Now, dip the microfiber cloth in that water. Don’t make it socked up though. Now, remove the dirt or other microparticles by wiping the cloth across the surface. Clean each side and corner of the printer roller. Wait for some time to allow the rollers dry entirely. Now, place the paper tray back in the machine. Close the printer cover and put the papers back into the tray. 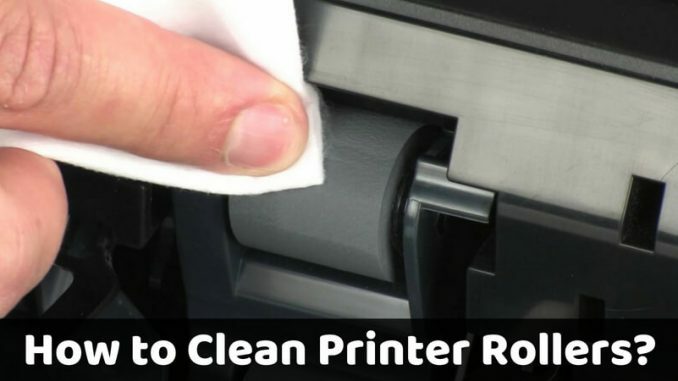 Though the process is not too much different than it is with an inkjet printer, follow the steps below if you have a LaserJet printer and want to clean its rollers. Before you start the cleaning process, unplug the machine from the power socket. Now, remove the cover and then take out the paper tray from the top. Make sure to empty the paper tray before you remove it. If you can’t find the paper tray at the top, then remove the ink cartridges and check underneath them. Now, you should see the rollers beneath the tray. 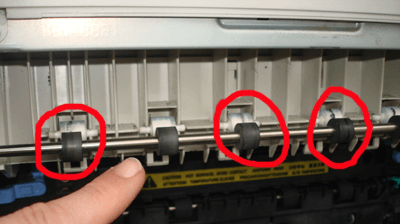 You may not manually rotate the rollers of a LaserJet printer in most cases, so you will need to remove the attached clips from the sides of the roller. After doing that, slowly remove the rollers from the machine. Now take a cotton swab and dampen it in alcohol. 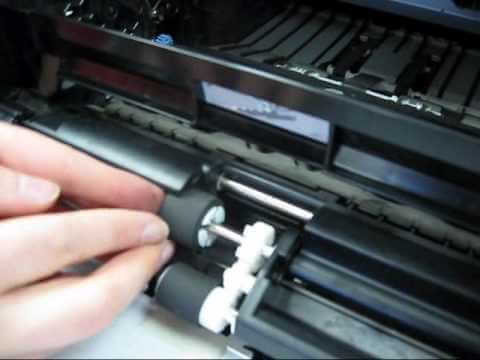 Rub the swab gently on the printer rollers. Don’t leave any corner or side. Also, make sure that the cotton swab is not thoroughly wet. Now, get a microfiber cloth and dip it into distilled water. Rub it on the all the surfaces of the rollers. This process will remove all the remained dirt and debris from the sides and corners. Wait for the rollers to be completely dried out. After that, place the rollers back into their positions. 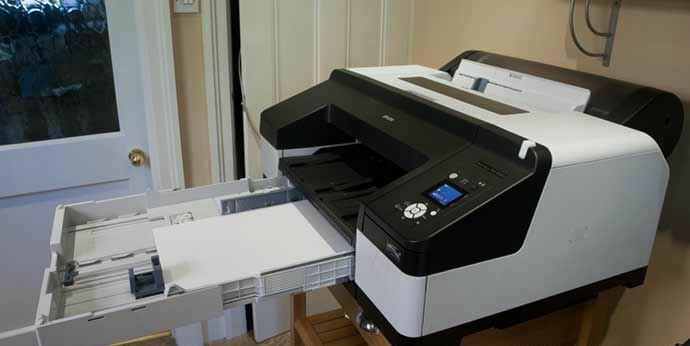 Reinstall the paper tray and the printer cover. Place the papers back in the tray. Don’t overload the printer. Just feed the recommended number of papers in the tray. Make sure to power off the printer and unplug it from the socket when you are cleaning or repairing the machine. This thing will prevent any accidental damage due to the electricity. You should not over-clean the printer rollers with alcohol and water. 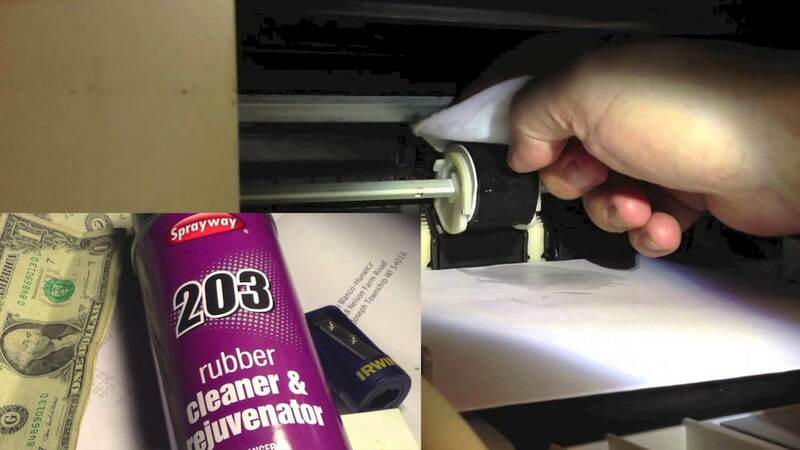 Because the improper use of such solvents can damage the rollers or other parts of the printer. It also can void the warranty of the machine. Printer rollers are the crucial parts of the printing machine. Whether it is the feeding papers to the device or to get the quality prints on the documents, these components play a vital role in it. So, you should maintain them and clean them time to time for better output and savings. And the above guide on how to clean the printer rollers will surely help you in that.